Claudia Cabello-Hutt is an Associate Professor of Spanish. She obtained her Ph.D., in Spanish and Latin American Literature, with a Graduate certificate in Women’s and Gender Studies, from Rutgers University in 2010. 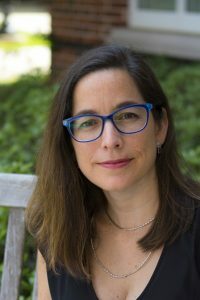 Her research and teaching interests include modern Latin American literature and culture, with particular attention to gender studies, intellectual history, transnational/ transatlantic networks of writers and archives.